Home » Food & Nutrition » Nutrition Basics » Can You Eat Christmas Cookies if You Have Diabetes? Can You Eat Christmas Cookies if You Have Diabetes? Well, I might have a crowd of people with torches outside my door for saying this out loud, but I can’t help myself: it’s really okay to eat Christmas cookies…even if you have diabetes. There’s a big difference between adding 30 (or, gasp, even 50) grams of carbs onto your total carb-tally of cookies if the rest of your day was really low-carb. For example, today, I ate two homemade psyllium husk rolls with two eggs (a meal for which I need zero insulin). For lunch, I had an avocado with a bell pepper, a snack of 2 slices of cheese and a few strawberries. Dinner was sautéed cauliflower with red peppers along with a spoonful of natural peanut butter and a low-carb “Orgain” protein shake. If I wanted to add 3 or 4 gluten-free sugar cookies to this day, would that really be the end of the world? I think not. In fact, the total carb-count would be well below 100 grams. There’s also a big difference between eating cookies every single day…and eating cookies a couple nights out of the week. If you’re in a long-term and ambitious pursuit of losing 100 pounds then I totally understand why those few nights of cookies are definitely going to impede your progress. But if you’re living life, managing your blood sugars to the best of your abilities, and your relationship food doesn’t mean you’re binge-eating on a regular basis, then enjoying a few Christmas cookies during the holiday season (or any season, for that matter) is really not going to break the bank. Certainly, this one only applies to those of us with type 1 or type 2s who use insulin, but it’s worth saying. I can only applaud and admire those who follow strict low-carb, ketogenic diets month after month. Seriously, that’s awesome. 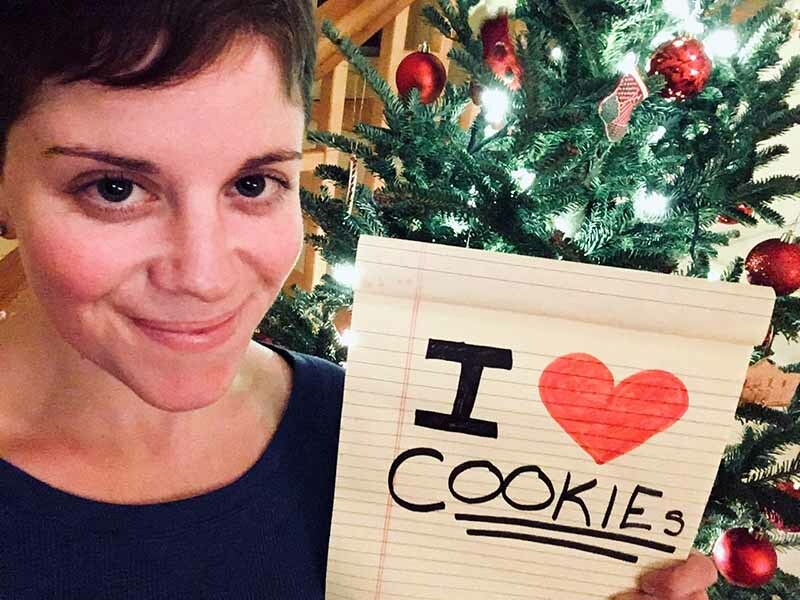 But for me, ya know, I love eating low-carb most of the time because the benefits of it are obvious in my blood sugars and my waistline, but at the end of the day, I also just love cookies. I’m not gonna waste my fabulously precious insulin on boring (in my opinion) carbs like bagels or bread. I don’t care one bit about pasta or juice or maple syrup and pancakes. But I will spend my insulin on a few delicious homemade, gluten-free, Christmas sugar cookies. And I will enjoy every single sweet and scrumptious bite. Ginger Vieira has lived with Type 1 diabetes and Celiac disease since 1999, and fibromyalgia since 2014. 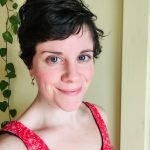 She is the author of 4 books: Pregnancy with Type 1 Diabetes, Dealing with Diabetes Burnout, Emotional Eating with Diabetes, Your Diabetes Science Experiment. Ginger creates content regularly for Diabetes Strong, Healthline, HealthCentral, DiabetesDaily, EverydayHealth and her YouTube Channel. Her background includes a B.S. in Professional Writing, certifications in cognitive coaching, Ashtanga yoga, and personal training with several records in drug-free powerlifting. She lives in Vermont with her husband, their 2 daughters, and two dogs, Pedro and Suzy.